Help children discover the difference the right color makes by experimenting with these 36 art projects. 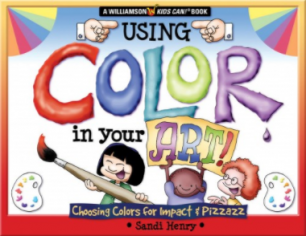 Children ages 7 to 14 will learn all about colors: primary, secondary, warm and cool and complementary colors. Each chapter provides one or more art exercises that use a technique (such as pattern painting), and then spotlights a famous artist who employed the technique (such as Piet Mondrian). Each technique is illustrated by a young artist's work.